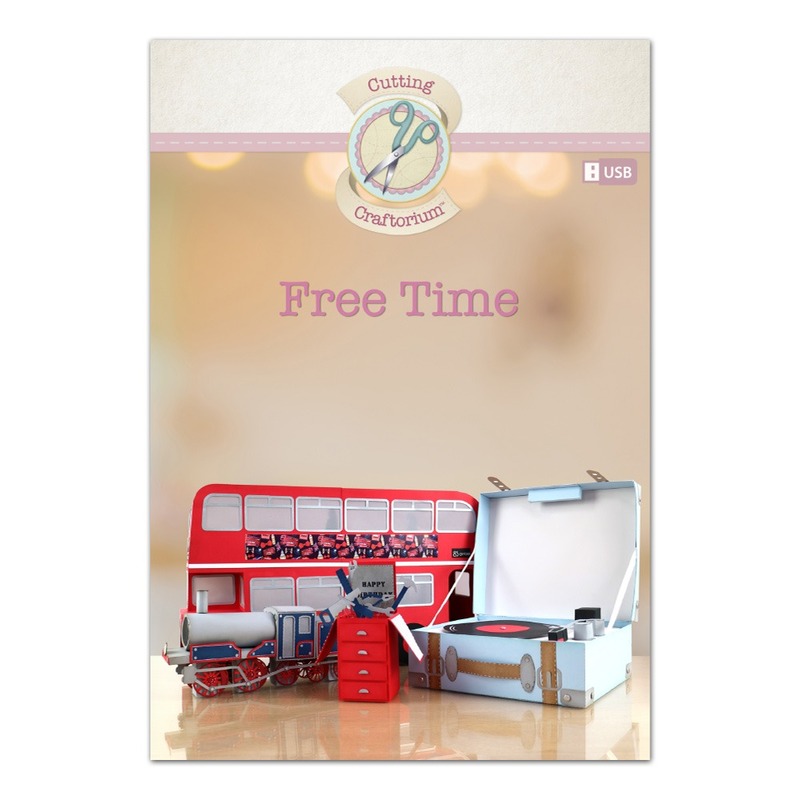 Free Time is a fantastic new USB from Cutting Craftorium that will have you crafting so much that free time may become an issue! The Cutting Craftorium is a new range of USB sticks that will allow anyone who owns a suitable electronic cutting machine to create stunning projects with ease. This USB includes over 30 projects that can maybe add a special touch to your gifts and projects. Projects include a variety of projects such as models of a Biplane, a Classic Bus, a Classic Sports Car and even a Steam Train! Jam-packed with cutting files that will work on (but not limited to) the following machines: Brother Scan & Cut; Silhouette Cameo; Sizzix Eclips; BossKut Gazelle; Cricut Explore and Pazzles Inspiration – this incredible USB is a must-have for any serious papercrafter. There is also 200 backing papers on this USB, meaning you can get crafting as soon as your USB arrives – print your paper, pop it in the scanNCut, select your project and push that button!